Mandolin Magazine calls him a player with "a worldwide reputation as one of the modern masters of bluegrass mandolin...one of the most recognizable and respected mandolin voices anywhere". He's Mike Compton--Grammy and IBMA award-winning recording artist; solo, duo and band performer; and as passionate a teacher and advocate for the mandolin as you're ever likely to find. The New York Times calls Compton, "a new bluegrass instrumental hero." Born in Meridian, Mississippi (hometown to the legendary Jimmie Rodgers) in 1956, Mike grew up hearing old-time country music, and took up the mandolin as a teenager. Drawn to the powerful mix of old-time fiddle stylings, blues influences and pure creativity embodied in Monroe's playing, he moved to Nashville in 1977 and quickly found work with veteran banjoist and former Monroe sideman Hubert Davis. Compton made his first recordings with Davis, but by the middle of the 1980's, he was recruited by Pat Enright and Alan O'Bryant to help found the Nashville Bluegrass Band, and the group quickly became one of the most prominent and admired in bluegrass. In four years of wide-ranging tours that covered the globe, the quintet recorded an equal number of acclaimed albums before a bus accident prompted Mike to reconsider his career and leave the NBB for a year of quiet work and introspection in New York's Catskill Mountains. Returning to Nashville, Compton soon joined the legendary John Hartford, recording a half-dozen albums with the Hartford String Band and touring extensively until Hartford's death in 2001. At the same time, he began to develop collaborative efforts in recording, performing, and teaching with other masters such as guitarist David Grier, with whom he has toured and recorded the IBMA Album Of The Year-nominated Climbing The Walls; renowned mandolinists David Grisman and Mike Marshall, at whose invitation he participates in the Mandolin Symposium in Santa Cruz, California; producer T-Bone Burnette, for whom he not only performed as a Soggy Bottom Boy on 2001's Grammy Album Of the Year, O Brother, Where Art Thou?, but on the following Grammy-winning Down From The Mountain soundtrack and tours, and on the cold Mountain soundtrack and tours; and, most recently, with up-and-coming mandolinist David Long, with whom he recorded Stomp, nominated for the IBMA's Recorded Event Of The Year in 2006. Adding to his full schedule, Mike was invited to rejoin the Nashville Bluegrass Band in 2000, where No Depression magazine noted in a 2004 review that "his contributions notably enhance one of the band's greatest strengths: its uniquely precise take on the blues." Honored in 2002 with a special resolution by the Mississippi State Senate for his accomplishments, Mike Compton is in demand today at every level, from solo tours, treasured performances with the Nashville Bluegrass Band, appearances with Grier, and other duet partners, to instructional settings like the International Bluegrass Music Museum's wildly successful Monroe Mandolin Camp, to studio recordings with bluegrass legends such as Ralph Stanley and country stars like Faith Hill. In the end, there's no better way to say it than in the words of Mandolin Magazine--Mike Compton, is, simply put, "a certified mandolin icon." Wearing his signature pressed blue overalls and rocking and weaving with fluid body motion, Compton stuns not by tricks or artifice, but through his singing, his ability to engage a crowd, and through decades of honing his technique into the unique, one-of-a-kind Compton signature mandolin sound. With his Gilchrist mandolin, this is a perfect match of a musician and his instrument. 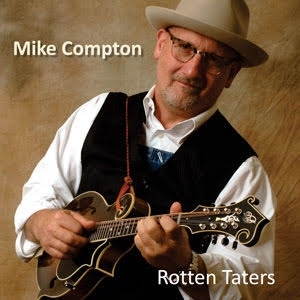 As a recent April, 2013 reviewer wrote in Bluegrass Today, "go see Mike Compton's solo show and prepare to be gobsmacked. There are powerful people in every walk of life. Mike Compton is the General George Patton of the mandolin. Breathtaking is the only word." In addition to teaching at Camp Backup this year , Mike will be teaching at Mando Camp North, Midwest Banjo Camp, Rockygrass Academy, Grand Targhee Camp, BOTMC, and Monroe Camp.